Welcome to the Country Inn & Suites, Lexington, VA! 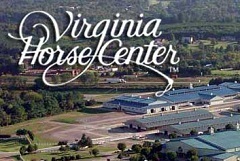 Nestled in the heart of the Shenandoah Valley with easy access to 1-64 and I-81, our hotel is conveniently located only two miles from the Virginia Horse Center. When you're between shows and events, come relax with us and enjoy the many wonderful amenities we have on site. If you want to do more exploring of the area in your downtime, we are located just two miles from historic Downtown Lexington. We have special discounted rates available for participants, employees, and visitors of the shows and events. These rates are available for stays from April 22, 2019, through May 5, 2019. For any questions, please contact the hotel directly at +1 (540) 464-9000. Book online today to get your special rate! Offer is available for stays from April 22, 2019 to May 5, 2019.